Spicer® E-Series Steer Axles E-1002I, E-1002W, E-1252IL, E-1252LW, E-1322IL, E-1322LW deliver a 35-pound weight reduction for increased payload capacity and maximum efficiency. 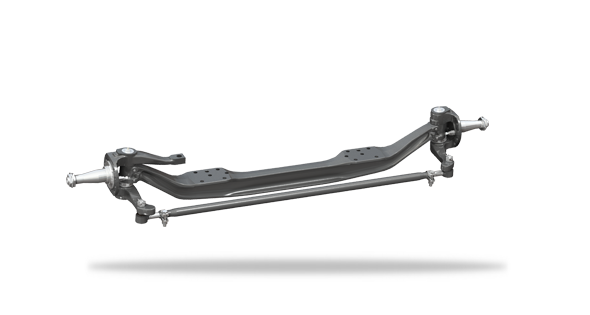 These steer axles feature a patented integral arm knuckle and lightweight steel forged beam design to enhance strength and torsional stiffness for improved braking response. E-1002I, E-1002W, E-1252IL, E-1252LW, E-1322IL, and E-1322LW medium- and heavy-duty steer axles are available in both standard and wide beam tracks for a 10,000 to 13,200 gross axle weight rating (GAWR).